This Sunday, let us join the British in praying for the conversion of their nations & ours. 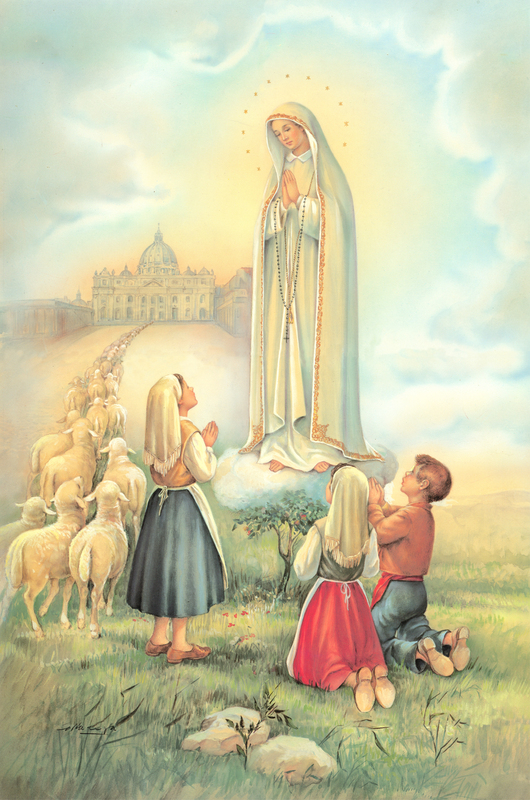 Only Lady can save us through the power of her rosary. In the United Kingdom, nearly 200 locations are ready for the prayer groups who will come to recite the Rosary on the coasts on April 29, 2017. Nine bishops have announced they will attend the event. The mass prayer event, scheduled for 3pm on Sunday April 29, will extend from the island of Guernsey off the coast of France to St Ninian’s Isle in Shetland, between Scotland and Norway. An online map of the 197 locations shows the greatest density of prayer groups is around Portsmouth, which covers much of the West Country. 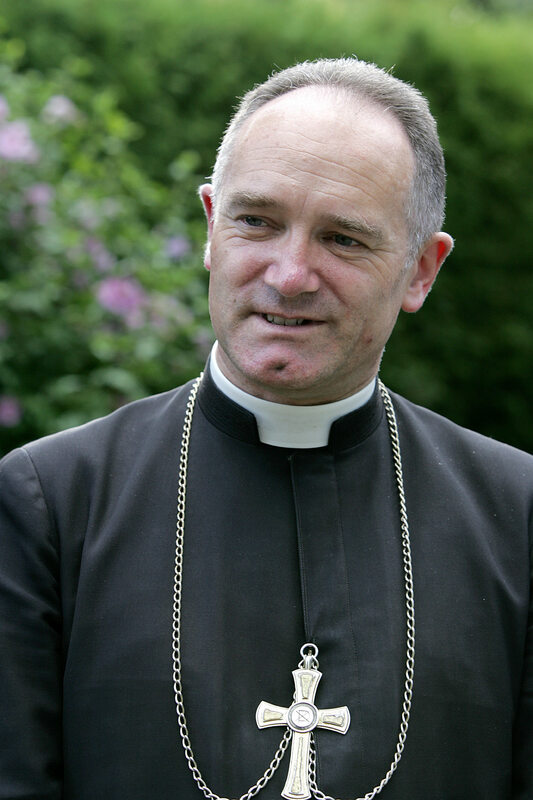 Organizers – whose initiative follows similar events in Poland and Ireland – say the day is aimed at a “re-flourishing of the faith, for the grace to build a culture of life and for true peace to reign in the hearts of all peoples and nations”. This entry was posted in Our Lady, Rosary and tagged Our Lady, Rosary on April 28, 2018 by damselofthefaith. Just one-hundred years ago, an American military chaplain was given the nickname “Angel of the Trenches” in Apremont-la-Forêt, after several heroic acts. Joao Baptista DeValles was born in 1879 in Saint Miquel in the Azores. At the age of 2 his family moved to New Bedford, Massachusetts. His first name anglicized to John, he quickly proved himself a brilliant student, eventually being fluent in six languages. Ordained a priest in 1906, he served at Falls River at Espirito Santo Church, founding the first Portuguese language parochial school in the United States while he was there. He later served at Our Lady of Mount Carmel in New Bedford and was pastor at Saint John the Baptist Church, also in New Bedford. On April 6, 1917, the United States declared war on Germany and entered the fray in Europe. Fr. John De Valles joined the Army as a chaplain, serving with the 104th regiment, a Massachusetts National Guard outfit, part of the Yankee (26th) Division, made up of National Guard units from New England. The Yankee Division arrived in France in September 1917. The 104th was on the front lines in all of the major campaigns of the American Expeditionary Force. For heroic fighting at Bois Brule (Burnt Woods) in Apremont, outside of Saint-Mihiel, in April, 1918, the French government awarded the regiment a collective Croix de Guerre, an unprecedented honor for an American military unit. One of the many horrors of the trench warfare of World War I, was the plight of wounded soldiers trapped in No Man’s Land. Night after night Father DeValles would go out to rescue Allied and German wounded, risking his life to save theirs. After one such mission he was found the next day wounded and unconscious next to a dead soldier he had been trying to aid. The newspapers began to refer to him as the Angel of the Trenches. The French government recognized his heroism with the Croix de Guerre and membership in the Legion of Honor. He was known to the men of the 104th as Father John. For his courage and good humor he was popular with his fellow soldiers. He would routinely make “loans” to the men of the 104th who needed assistance, after making certain that the money would not be used for immoral purposes. He recorded the “loans” meticulously, but when Pay Day rolled around, he would invariably tell his orderly to rip out the page of his journal containing the “loan” record. Father DeValles’ life was brief after his service in World War I. His health had been wrecked by his wounds during the War, and especially by the mustard gas he had breathed in. He died on May 12, 1920 at age 41, a few hours before his Distinguished Service Cross arrived. But earthly decorations are nothing compared to Heaven’s reward. All of New Bedford mourned his passing. 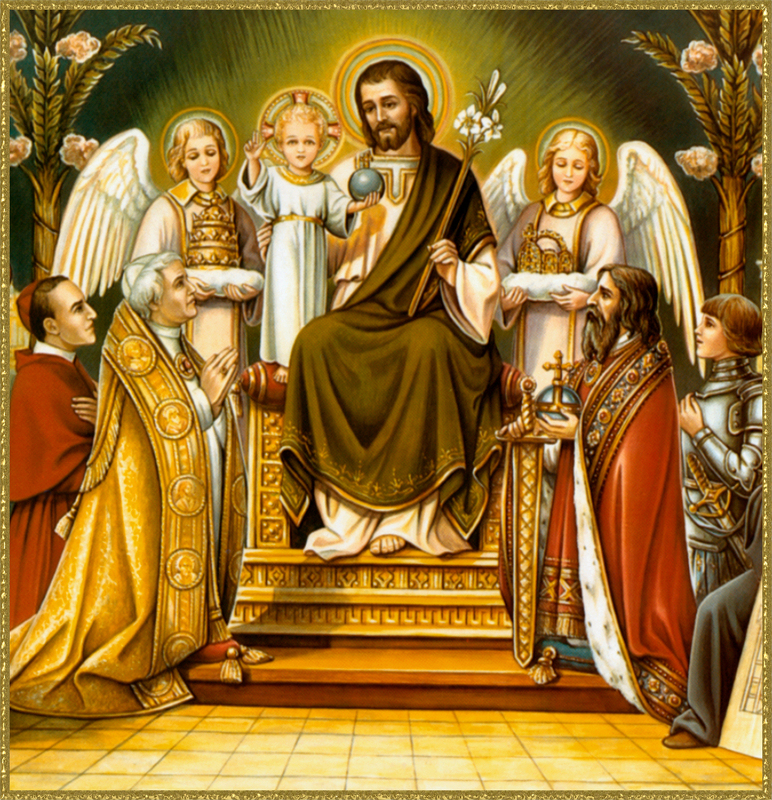 This entry was posted in Catholic on April 26, 2018 by damselofthefaith. The words of Our Lord to St. Bridget of Sweden, on the mystery of the incarnation and the descration & rejection of the Faith. “I am the Creator of the heavens and the earth, one in Divinity with the Father and the Holy Spirit. I am the one who spoke to the patriarchs and the prophets and the one whom they awaited. For the sake of their longing and in agreement with my promise, I assumed flesh without sin and concupiscence, by entering the womb of the Virgin like the sun shining through the clearest gem. For just as the sun does not damage the glass by entering it, likewise the virginity of the Virgin was not lost when I assumed Manhood. I assumed flesh in such a way that I did not have to forsake my Divinity, and I was no less God – with the Father and the Holy Spirit, governing and upholding all things – although I was in the womb of the Virgin in my human nature. Just as brightness is never separated from fire, so too, my Divinity was never separated from my Humanity, not even in death. Thereafter I allowed my pure and sinless body to be wounded from the foot to the head, and to be crucified for all the sins of mankind. 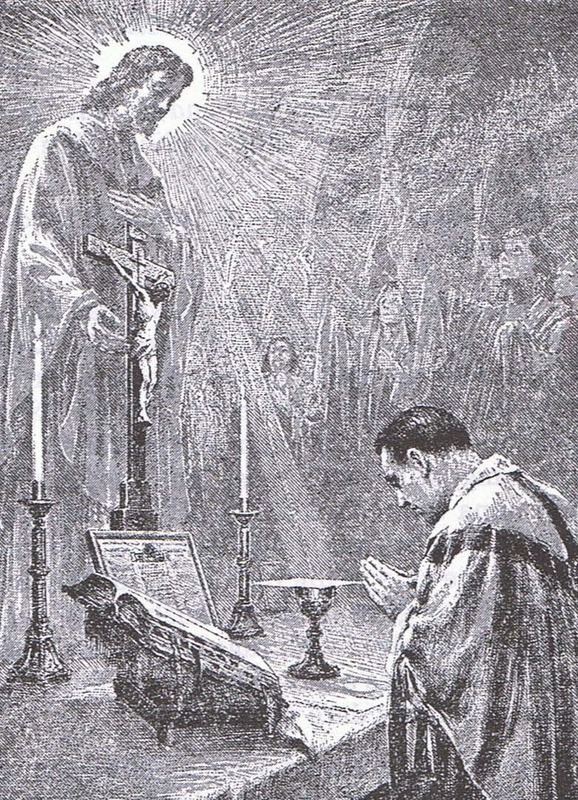 That same body is now offered each day on the altar so that mankind might love me more and remember my great deeds more often. But now I am totally forgotten, neglected, despised, and expelled as a king is from his own kingdom and in whose place the most wicked robber has been elected and honored. I have indeed wanted my kingdom to be within man, and by right I should be King and Lord over him, for I made him and redeemed him. However, now he has broken and desecrated the faith which he promised me in his baptism, and he has broken and spurned my laws and commandments which I prescribed and revealed to him. He loves his own will and refuses to hear me. In addition, he exalts the most wicked robber, the devil, above me and has given him his faith. The devil really is a robber, since he steals for himself, by way of evil temptations, bad councils, and false promises, the human soul that I redeemed with my blood. But he does not do this because he is mightier than me; for I am so mighty that I can do all things with a word, and so just, that even if all the saints asked me, I would not do the least thing against justice. But, since man, who has been given free will, willfully rejects my commandments and obeys the devil, it is only right that he also experiences his tyranny and malice. This devil was created good by me, but fell by his own wicked will, and has become, so to speak, my servant for inflicting vengeance on the workers of evil. But you, my daughter, whom I have chosen for myself, and with whom I now speak in spirit: love me with all your heart – not as you love your son or daughter or parents, but more than anything in the world – since I, who created you, did not spare any of my limbs in suffering for your sake! Yet, I love your soul so dearly that, rather than losing you, I would let myself be crucified again, if it were possible. Imitate my humility; for I, the King of glory and of angels, was clothed in ugly, wretched rags and stood naked at the pillar and heard all kinds of insults and ridicule with my own ears. Always prefer my will before your own, because my Mother, your Lady, has, from the beginning to the end, never wanted anything but what I wanted. 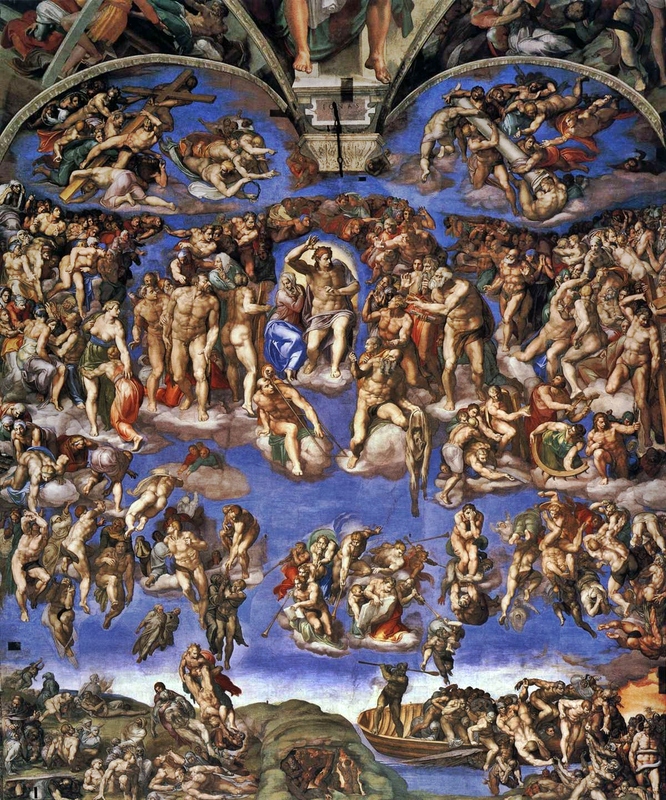 This entry was posted in Catholic, Prophecy, Uncategorized and tagged Catholic, Prophecy on April 23, 2018 by damselofthefaith. I am once again sharing one of my best essays. I hope you like it, readers. As the medieval times marched towards the creation of Western Civilization, the Catholic Church was the driving force behind all that was good at that time such as the Crusades, the wars fought in defense of the Church, as well as the art and architecture of that time which was the crowning glory of society and the Church. Medieval comes from the latin word, “medium aveum” meaning the Middle Ages. The medieval times were a glorious era in the Church and the history of the world, but many refuse to see it and instead refer to these times as the dark ages. In demonstrating the truth about the crusades, one should be able to see that they were just wars fought in defense of the Church and the Holy Land. The medieval times was a major period in classical civilization, as shown through the art and architecture that came forth from that period. The Catholic Church was the driving force behind all of this good. It was the Catholic Church that influenced men to join the Crusades and it was the Catholic Church that was behind the architectural beauty in the art and architecture of these medieval times. All of these things existed for the greater glory of God and His Church. By showing the proof of the good that came forth from the medieval times, one should be able to see that this was not a period of darkness, but of light. The world that we experience owes a great deal to the medieval times because they contributed much to what is now the modern world. The Medieval Ages were not the “Dark Ages” as supported by the truth of the Crusades, as well as the art and architecture that came out of the Catholic Church at that time which formed Western Civilization. The Catholic Crusades were military wars, taken in defense of the Holy Land against the Moslems, in the name of the Church. 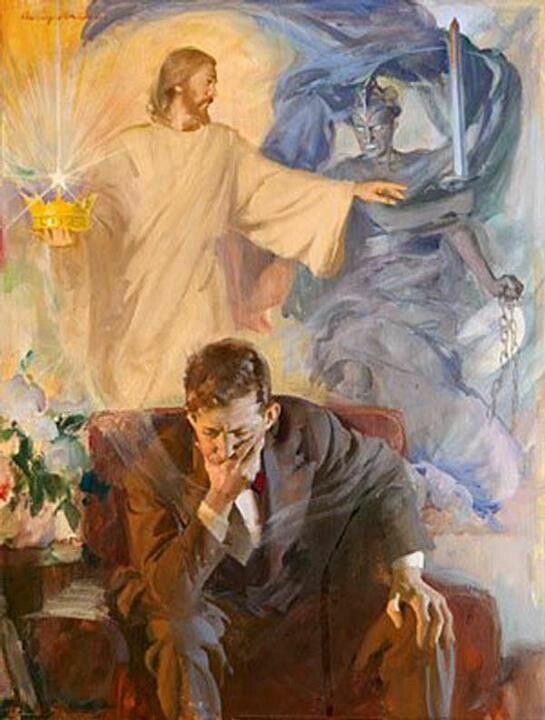 The truth of these battles is to be found with the Church. The Church has always been militant and at all times she has had valiant warriors to defend her. These warriors were knights of Christ and the Church. “By translating the notion of a “holy warrior” into Christian terms, a succession of medieval popes and churchmen created the crusader, a “knight for Christ.” The Crusades were called at a time when the infidels i.e. the Mohammadens had taken control of the Holy Land. There were four principal crusades. The First Crusade was called by Pope Urban II in 1095. The First Crusade, from 1095-1099, established the Latin Kingdom of Jerusalem and provided more lands for the crusaders. To understand the important connection between the Crusades and the Catholic Church, one would do well to listen to the words of Pope Urban II, calling the crusaders to battle: “Christians, hasten to help your brothers in the East, for they are being attacked. Arm for the rescue of Jerusalem under your captain Christ. Wear his cross as your badge. If you are killed your sins will be pardoned.” Thus, the Crusades were Catholic in origin and fought in defense of Christ’s Church. The Second Crusade, from 1147-1149 was called in response to the capture of Edessa by the Turks. This Crusade was mostly a failure because only a few thousand crusaders escaped death at Asia Minor. However, in the interval between the Second and Third Crusade, the two famous military orders were established, namely the Hospitallers and the Templars, whose duty was the care of sick and wounded crusaders, as well as the protection of the Holy Land. Third Crusade failed in part because it resulted in the capture of Jerusalem by Saladin in 1187. This Crusade also marked the beginning of the Teutonic Knights. “Finally, in failing to regain Jerusalem, the Third Crusade marks the beginning of forty years of almost continuous crusading from Europe.” The Fourth Crusade resulted in the capture of Constantinople instead of Jerusalem. Thus, one can see that the objectives of the Crusades was the capture of the Holy Land, particularly Jerusalem, from the occupation of the Moslems. Finally, the Crusades gives one a perfect example of the Church Militant in action. 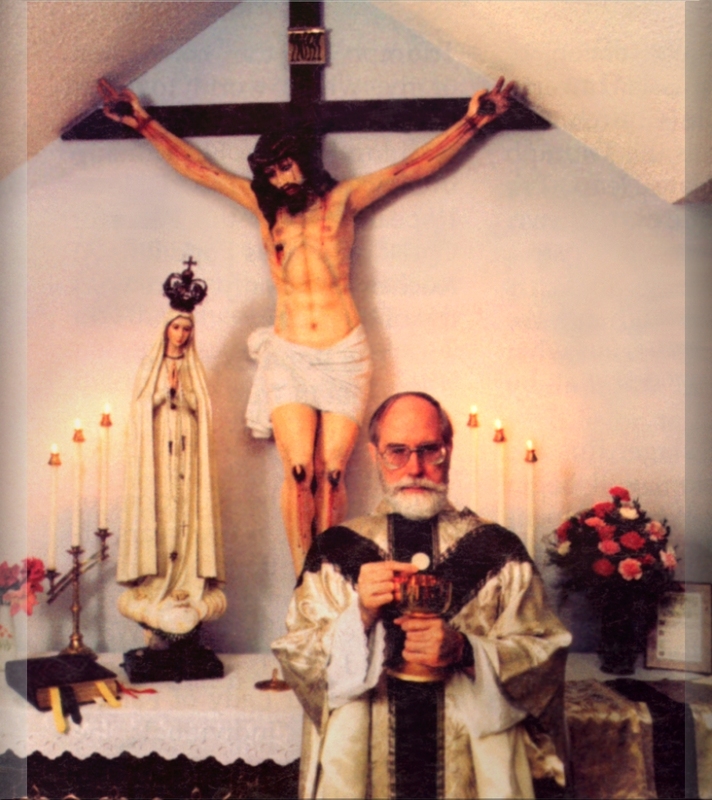 The duty of the Church Militant is to fight against the world, the flesh and the devil. The militant crusaders fought the enemy, which were the Moslems. Thus, the truth about the Crusades demonstrates that the Crusades were not the hallmark of the Dark Ages, but were rather the wars fought in the name of the Church that saved the Holy Land and Christendom. “The Crusades and Medieval Christianity,” Utah State University, 2013, http://www.usu.edu/markdamen/1320hist&civ/chapters/15crusad.htm (accessed November 25, 2014). Professor Ellis Lee Knox, “Results of the Third Crusade,” History by Knox, http://europeanhistory.boisestate.edu/crusades/3rd/17.shtml (accessed November 26, 2014). The art of the medieval times was heavily influenced by the Catholic Church because it showed forth the glory of God in all aspects. The Passion of Christ was a frequent focus of Italian painting and this was done with much emotion. “…The episodes of the Passion are colored by painful emotions, such as guilt, intense pity, and grief, and artists often worked to make the viewer share these feelings. In this, they supported the work of contemporary theologians, who urged the faithful to identify with Christ in his sufferings that they might also hope to share his exaltation.” The artists wanted the viewer to meditate upon the event being portrayed in the picture, thus; medieval art provided much good for the Church. “The climactic moment of the Passion story is the Crucifixion itself. Paintings of the subject were usually intended to foster meditation on Christ’s self-sacrifice, and they thus indicate his sufferings by showing him hanging heavily, with bowed head and bleeding wounds.” Many of the famous paintings that one can still see today are a cause for meditation upon the event they portray and thus; even art can lift one’s mind and soul to God. 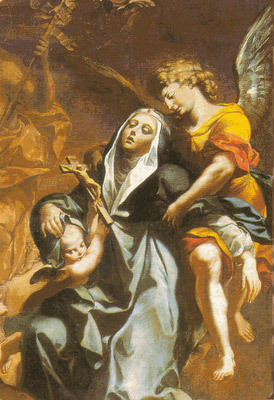 “According to resolutions agreed at the Council of Trent in 1563, the Catholic Church reaffirmed the value of images in Christian devotion and the importance of the emotions in religious experience.” In addition to the Passion, the Life of the Blessed Virgin Mary was another popular theme in religious art. In Byzantine spirituality, she was central. “Most images of the Virgin stress her role as Christ’s Mother, showing her standing and holding her son. The manner in which the Virgin holds Christ is very particular. Certain poses developed into “types” that became names of sanctuaries or poetic epithets. Hence, an icon of the Virgin was meant to represent her image and, at the same time, the replica of a famous icon original. For example, the Virgin Hodegetria is a popular representation of the Virgin in which she holds Christ on her left arm and gestures toward him with her right hand, showing that he is the way to salvation.”  In Byzantine art, all manner of symbols were used to represent an aspect of virtue. 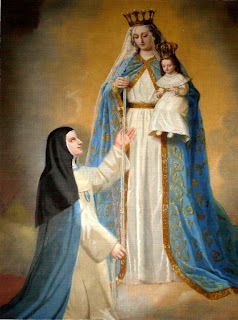 The color blue represented the Blessed Virgin. 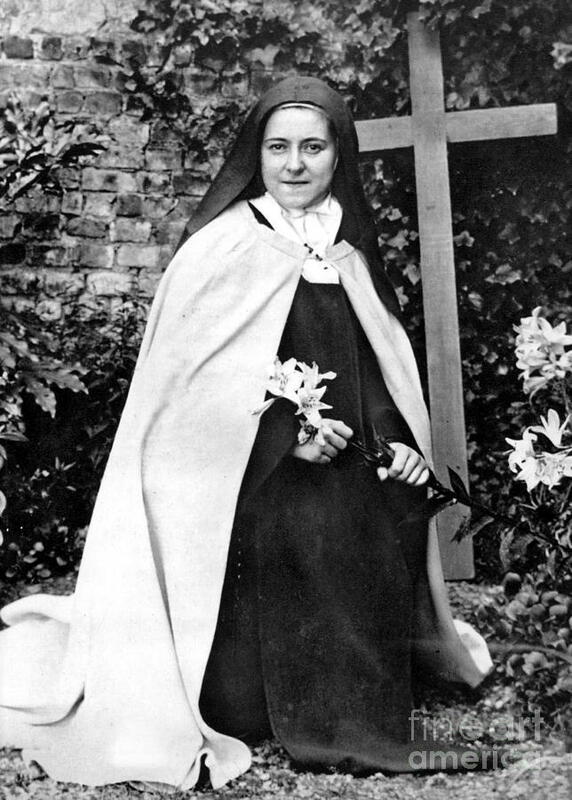 The white lily was a flower used to represent the purity of Our Lady. 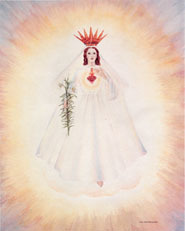 The rose represented Our Lady’s love for God. The crown represents authority, exultation, triumph and grandeur and was always most fitting to adorn the head of the Queen of Heaven. Therefore, art played a major role in the medieval times, especially in inspiring a greater love for God and the Church through meditation on the wonders of the Faith shown therein. Sorabella, Jean. “The Crucifixion and Passion of Christ in Italian Painting”. In Heilbrunn Timeline of Art History. New York: The Metropolitan Museum of Art, 2000–. http://www.metmuseum.org/toah/hd/pass/hd_pass.htm (accessed December 1, 2014). The greatest and most beautiful works of art in all of Christendom are found in the architecture, displayed most notably in the famous cathedrals of Europe. The Gothic architecture flourished during the late middle ages. The many great cathedrals of Europe attest to this. Of course, it was the Catholic Church that was behind this architectural beauty that made Christendom so great. “Gothic architecture and Gothic art are the æsthetic expression of that epoch of European history when paganism had been extinguished, the traditions of classical civilization destroyed, the hordes of barbarian invaders beaten back, or Christianized and assimilated; and when the Catholic Church had established itself not only as the sole spiritual power, supreme and almost unquestioned in authority, but also as the arbiter of the destinies of sovereigns and of peoples.” Chartres Cathedral is the finest example of the Gothic style of architecture. Still standing tall and perfectly preserved, it proves the great influence the Catholic Church had over the great wonders of Christendom in the architectural beauty of the greatest churches. What is most notable about the Gothic style is its tall structure, attained through the development of pointed arches and ribbed vaults. High towers and arches also emphasize height. All of this represent s the might and glory of God. The pointed arches reach towards Heaven, which these churches so gloriously represent and are instrumental in lifting one’s mind towards the Heavenly. Another cathedral that stands tall in honor of the Catholic Church is Notre Dame. It’s the epitome of what Gothic architecture looks like. One of the first Gothic Cathedrals, it has weathered many storms and today stands as a testament to the indestructible Catholic Faith, which it represents in its beauty, revealed most gloriously in the Gothic style of architecture. Another popular style of architecture is that of the Romansque architecture. This architectural style was most notably known for its semi-circular arches, which eventually evolved into the Gothic style of architecture. This style is known for its thick walls, round arches, large towers, naves and high bell towers. The churches were built in the shape of a cross which became known as the latin cross. During this period, the construction work was sponsored by great monastic orders, such as the Cluniac order. Some well-known churches of the Cluniac order are St. Martin in Tours, St. Sernin in Toulouse, and Santiago de Compostela in Spain, all of which have great similarity in plan and design. Hence, the architecture of the medieval times stands as a testimony to the grandeur of the so-called dark ages and the influence the Catholic Church had over this aspect of civilization. Cram, Ralph Adams. 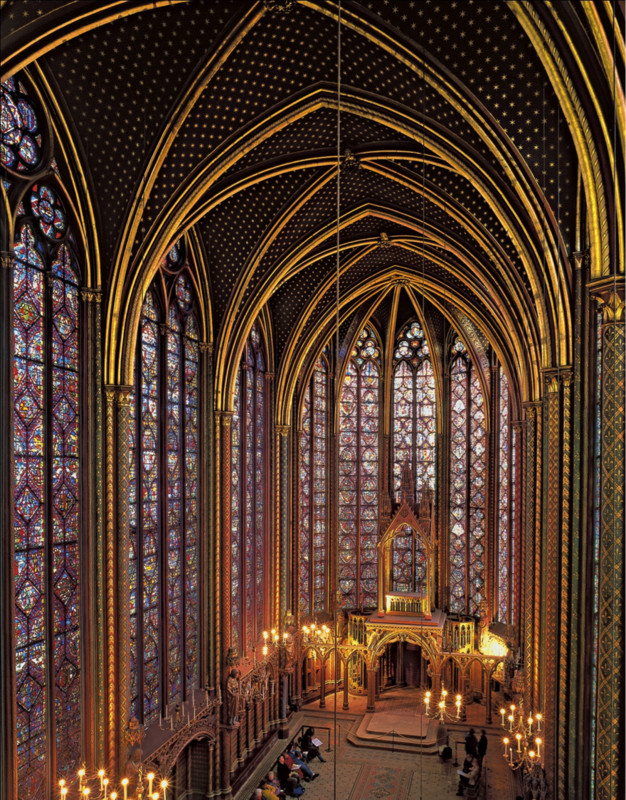 “Gothic Architecture.” The Catholic Encyclopedia. Vol. 6. New York: Robert Appleton Company, 1909. http://www.newadvent.org/cathen/06665b.htm (accessed December 2, 2014). 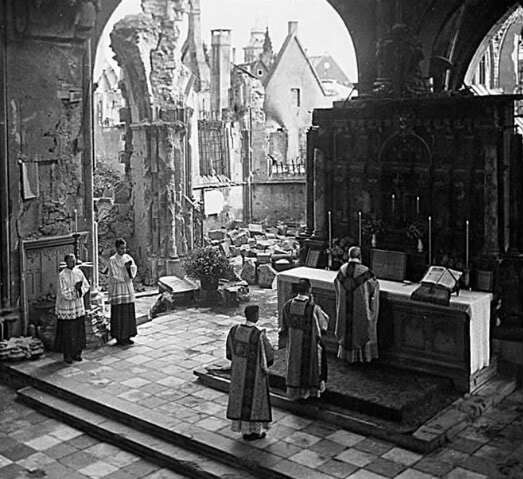 As proven, the Catholic Church had a major influence over all those crusaders who gave their lives in defense of the Church and all that was beauty in the art and architecture of those times. Every knight of old who spilt their blood and turned the fields of the Holy Land red will testify to this truth – the true darkness of their age was their enemy as they fought to civilize the barbarians who had invaded Jerusalem. It was the Divine Potency that enabled the Templar to carry the cross into battle in defense God and the honor of his homeland. The art expressed the cause, the architecture the conquest, as the whole drama unfolded throughout the land once trodden underfoot by One shod with the Gospel of the preparation of peace. And thus it was ever meant to be: just war. The blows of Christ expressed in a human dimension that transcends time and place; the birth pains of an ever approaching cataclysmic Armageddon like conclusion of the passion of the human race, uniting the sufferings of the image He made, to the sufferings of His Christ for the redemption of the world as it groans towards a new day with the former passing away, creating the scars from the wounds formed by the whip in the athletic scourge’s hand; the sword in knight’s clenched fist, the whole Body of Christ must be redeemed, it seems. 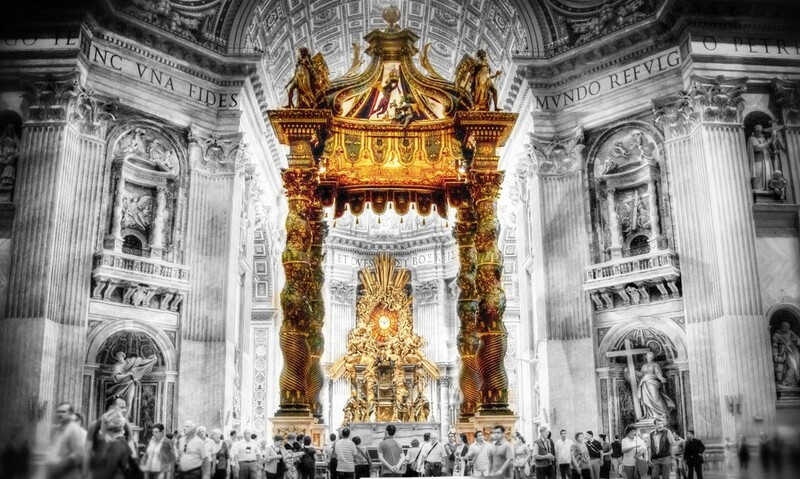 What is left of Christendom today is the art and architecture from those so-called dark ages which stands as proof that the influence of the Catholic Church surpassed all times and places and shaped every facet of society, as only it should since the Catholic Church is the ruler of all peoples and nations. Bréhier, Louis. “Crusades.” In The Catholic Encyclopedia, 1908, http://www.newadvent.org/cathen/04543c.htm (accessed September 23, 2014). Carroll, Anne W. Christ the King, Lord of History. Charlotte: Tan Books, 2012. Cram, Ralph Adams. “Gothic Architecture.” In The Catholic Encyclopedia, 1909, http://www.newadvent.org/cathen/06665b.htm (accessed September 23, 2014). Lucas, Herbert. “Ecclesiastical Architecture.” In The Catholic Encyclopedia, 1909, http://www.newadvent.org/cathen/05257a.htm (accessed September 23, 2014). Michuad, Fr. Joseph. “The History of the Crusades.” New York: A.C. Armstrong and Son, 1900. Norris, Michael. Medieval Art: A Resource for Educators. New York: The Metropolitan Museum of Art, 2005. Sorabella, Jean. “The Crucifixion and Passion of Christ in Italian Painting.” In Heilbrunn Timeline of Art History. New York: The Metropolitan Museum of Art, 2000 http://www.metmuseum.org/toah/hd/pass/hd_pass.htm (accessed December 4, 2014). Knox, Professor Ellis Lee. “Results of the Third Crusade.” History by Knox, http://europeanhistory.boisestate.edu/crusades/3rd/17.shtml (accessed November 26, 2014). This entry was posted in Medieval Times and tagged Medieval architecture, Medieval art on April 20, 2018 by damselofthefaith. A nice story of a little known church – the smallest parish in the world. Without the sign, a passerby might mistake the tiny church for a shed or child’s playhouse, as Gerald McLeod notes in his article about the church in the Austin Chronicle. Mass is celebrated once a month (“for the intentions left at the altar”) in the 12-foot by 16-foot church, which has barely enough room for six rows of pews to seat 20 people. Members of the parish can attend two other, much larger churches in nearby Fayetteville. According to a history of the church, McLeod notes that there was once a larger church by the same name where the tiny one stands. In 1915, when the population shifted to the cities, the church became less necessary, and the original St. Martin’s was dismantled in order to use the wood to build a school in Fayetteville. According to the article in the Austin Chronicle, the parishioners used leftover wood salvaged from the school project to build the little church overlooking the original St. Martin’s church cemetery. When the school was finally demolished in 1968, many of the original church fixtures were transferred to the chapel, including the altar, the church bell, statues, and an oil painting of St. Martin. This entry was posted in Catholic and tagged Catholic on April 18, 2018 by damselofthefaith. The Society is starting a new series on liberalism, that looks to be a good one. I will post here as installments come out. 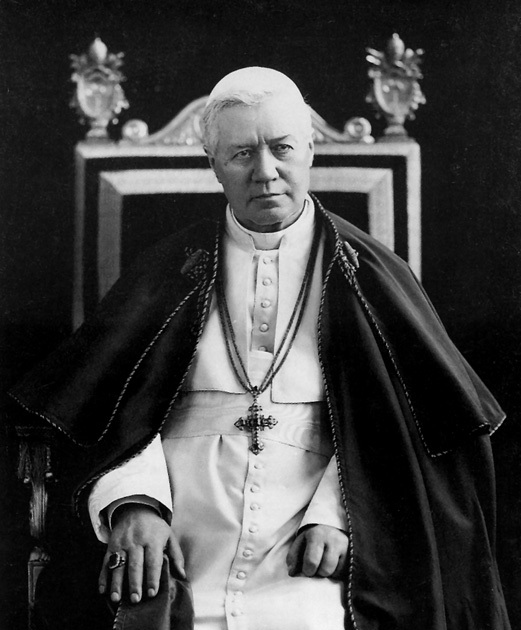 In the wake of the Second Vatican Council, the “received wisdom” in the West, particularly the United States and Europe, was that the Catholic Church had not only made its peace with liberalism, but had internalized its core tenets. 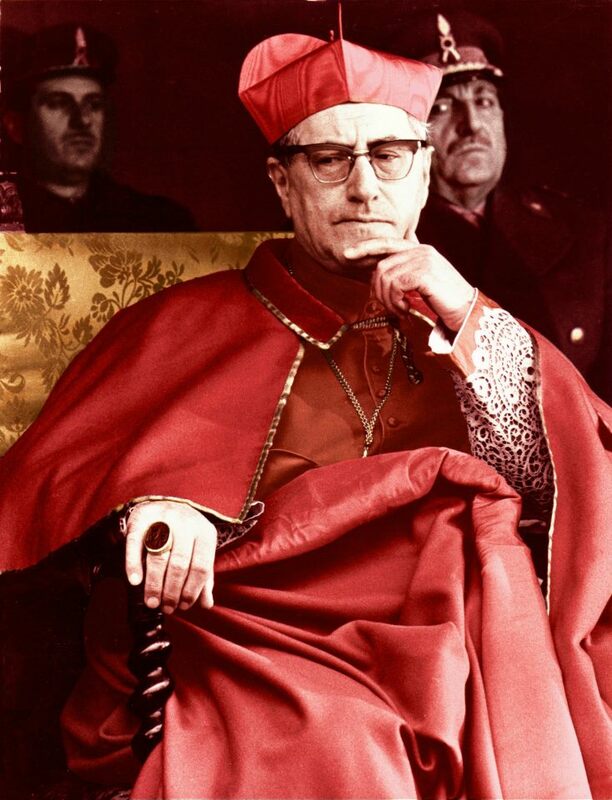 Dignitatis Humanae, Vatican II’s declaration on religious liberty, opened the doors to religious indifferentism, both within society and the Church. 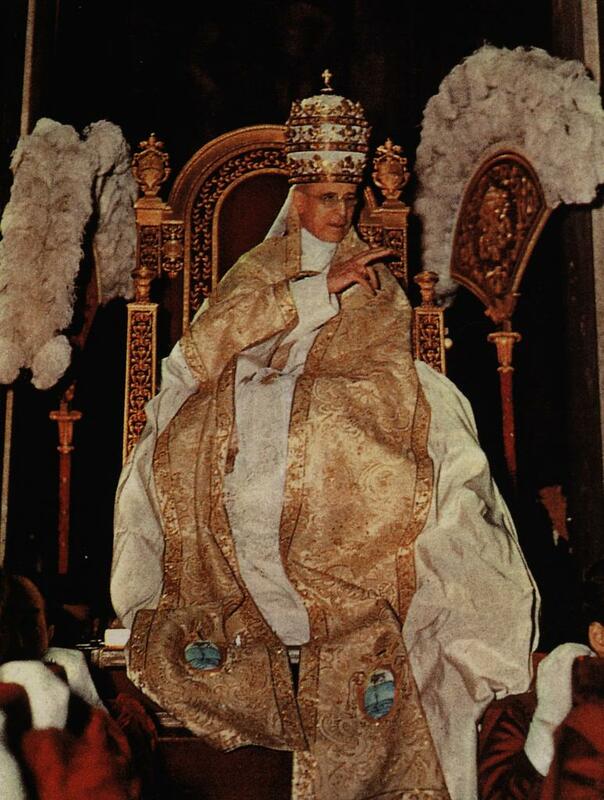 Other declarations of the Council, along with the so-called “Spirit of Vatican II” which prevailed during the decades after, ushered in reforms to the Church’s liturgy, theology, canon law, and governance structure. Although Church officials maintained a strong stance on critical social issues such as abortion and euthanasia, an ever-growing number turned a blind eye to moral matters such as contraception, promiscuity, and unnatural unions. In the political realm, the mainline Catholic Church has all but endorsed liberal democracy as the best political system. This positive attitude endures despite many liberal-democratic principles, including the false notion that political authority derives from “the people,” were expressly condemned beginning in the 18th century. With regard to political economy, both free-market capitalism and socialism—two economic forms that often compete for dominance within liberal polities—find acceptance in contemporary Catholic circles. 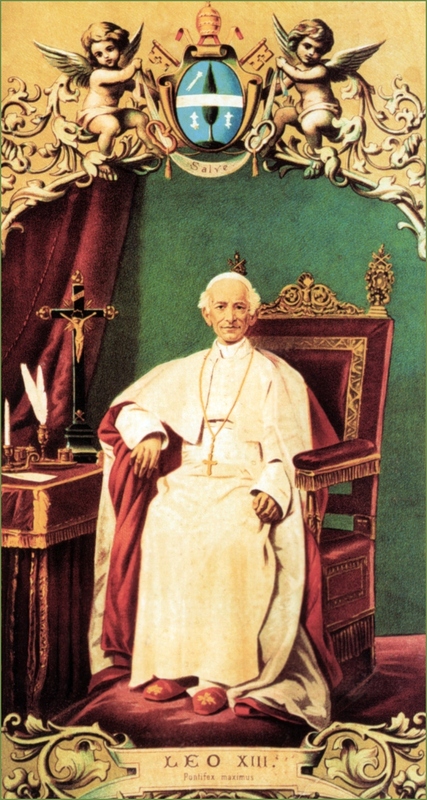 And yet even a cursory read of Pope Leo XIII’s Rerum Novarum or Pius XI’s Quadragesimo Anno reveals stern dismissals of both as incompatible with divine and natural law. 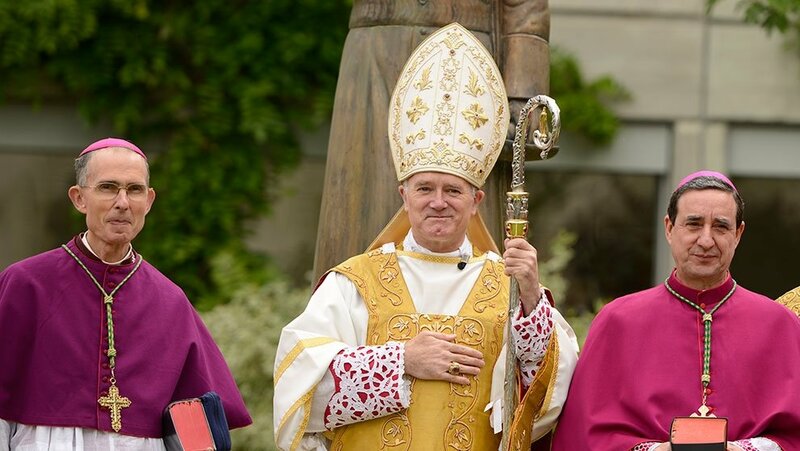 While a great deal more will be said about the SSPX and Archbishop Lefebvre’s anti-liberalism in subsequent articles, a few introductory words are in order. 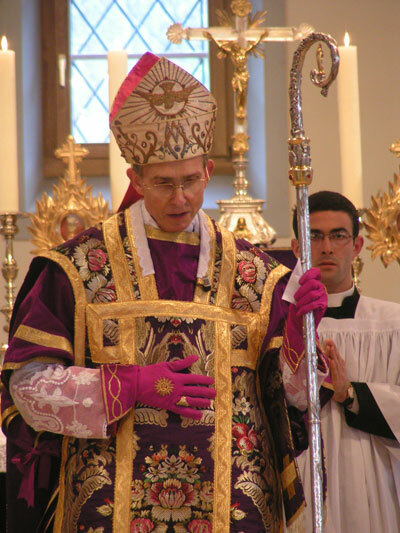 Following Vatican II and the introduction of the Novus Ordo Missae, Archbishop Lefebvre established the SSPX for the primary purpose of keeping alive the traditional Catholic priesthood. Bound up with this apostolic work was the duty to speak out—sometimes forcefully—against the liberal errors that invaded the Church in the 1960s and wreaked havoc over the course of the following decades. 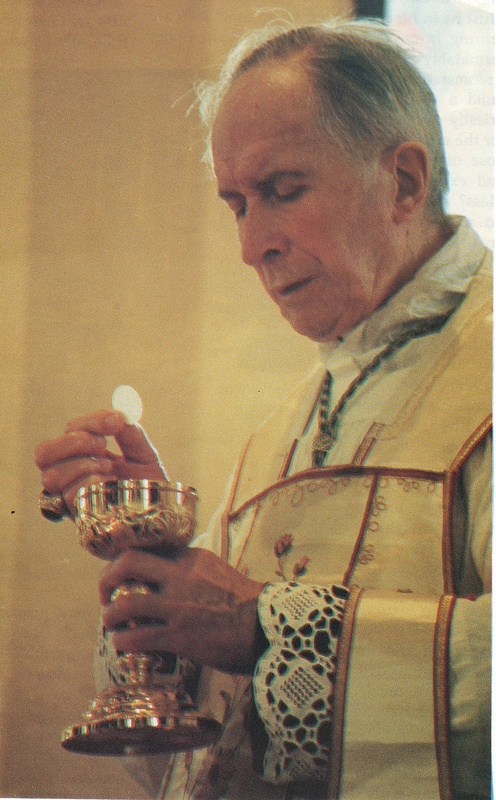 Shunned by his fellow prelates for refusing to accept such Vatican II novelties as religious liberty, collegiality, and ecumenism, Archbishop Lefebvre and his nascent fraternity of priests struggled on, providing traditional catechesis and sacraments to the faithful while disseminating timely information on the crisis in the Church. 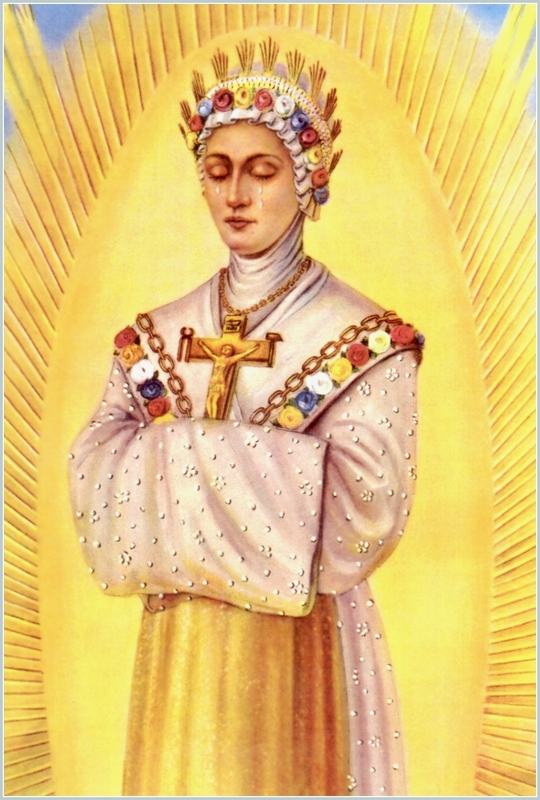 This entry was posted in Archbishop Lefebvre, SSPX, Uncategorized and tagged Archbishop Lefebvre, SSPX on April 16, 2018 by damselofthefaith. 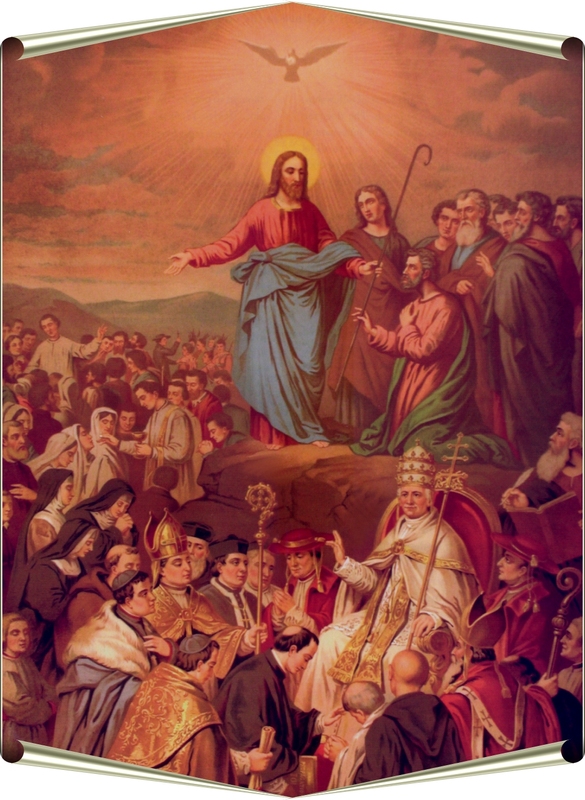 On the last day, our bodies will rise in the likeness of Christ & be united to our souls, nevermore to be separated. We shall either rejoice in glory in body & soul or suffer eternally in body & soul. Since we have become like unto God, who is in heaven in both body & soul, what more fitting way for us to spend eternity with him than by imitating the Resurrection of His body? This entry was posted in Easter on April 13, 2018 by damselofthefaith.